I set off on a six hundred mile round trip to visit an Operator. 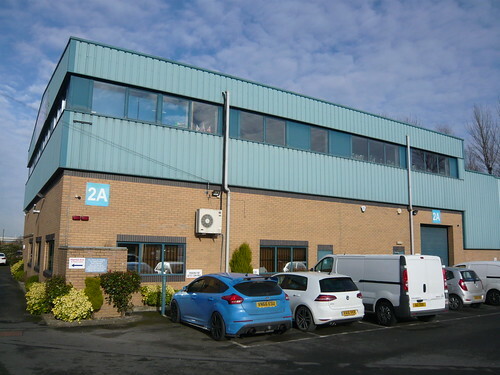 The destination was an unremarkable unit on an industrial estate. I rang the intercom buzzer several times. After a wait which seemed like forever, the door finally unbolted and I was led inside. 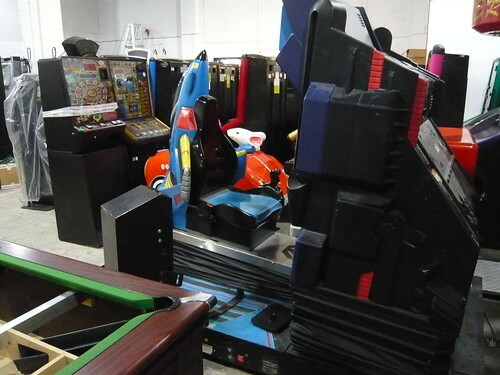 There were loads of fruit machines and pub quiz games, as well as jukeboxes, kiddie rides, pool tables, crane grabbers, table football, air hockey and modern arcade games. 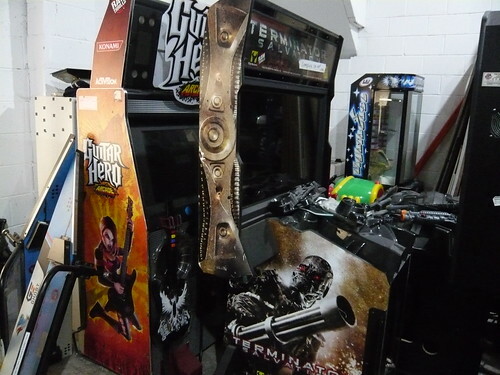 Whilst having a look around the unit I saw After Burner Climax SDLX, Guitar Hero Arcade, Mario Kart Arcade GP 2, Sega Rally 2 twin and Terminator Salvation 42”. 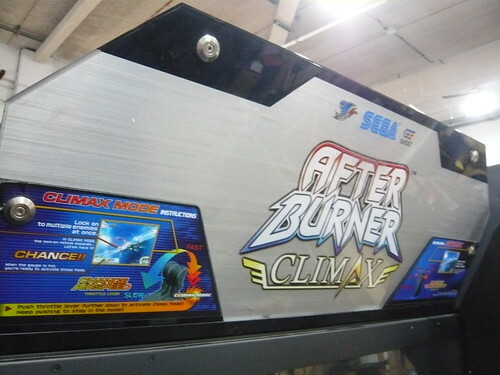 After Burner Climax SDLX is a very cool machine and seems to be quite scarce these days. 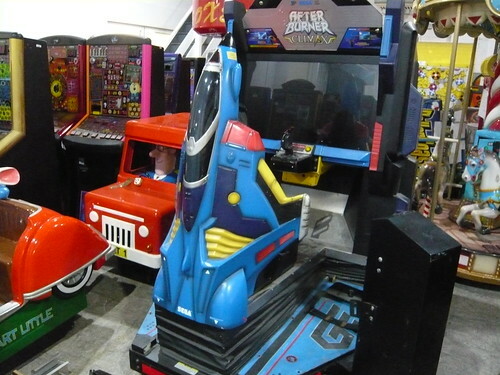 The last time I saw one was at Planet Fun arcade in Ingoldmells a couple of years ago. 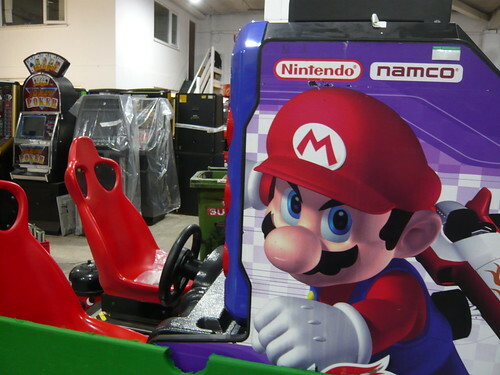 The machine was for sale, but not cheap! 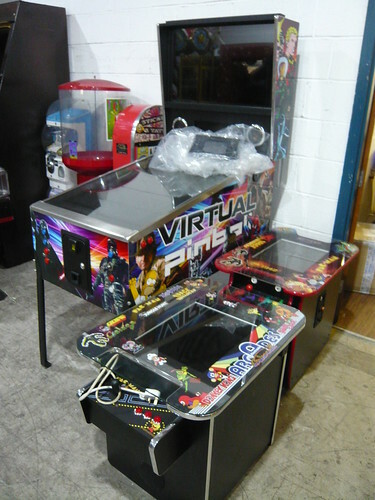 There was also a Virtual Pinball table and some modern arcade cocktail cabs. 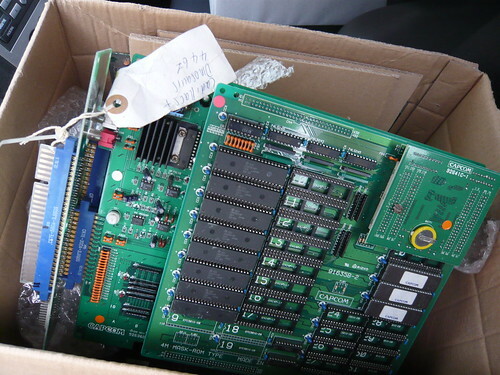 I was really pleased to pick up a couple of boxes of arcade PCB’s and MVS cartridges, as well as MVS motherboards. 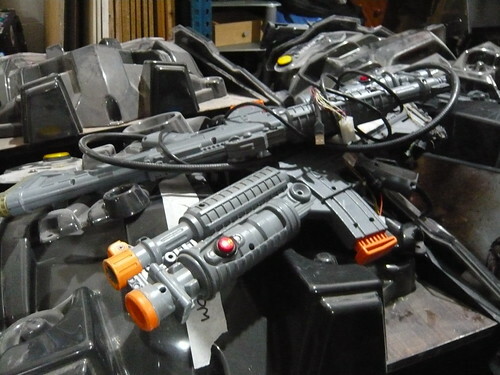 The Op said these had been sited in Jamma cabs and had been stood a while in his storeroom. 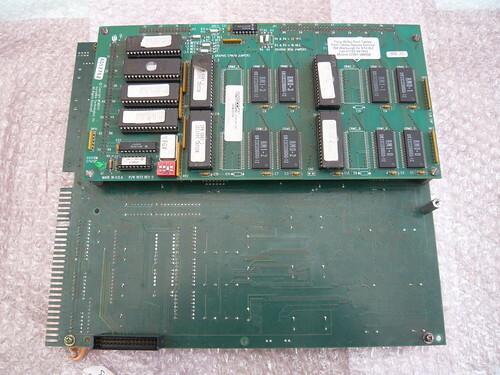 This is not the first time an Op has sold me PCB’s. A few years ago I picked up Galaga ‘88, OutZone and R-Type II from an arcade in Norwich. 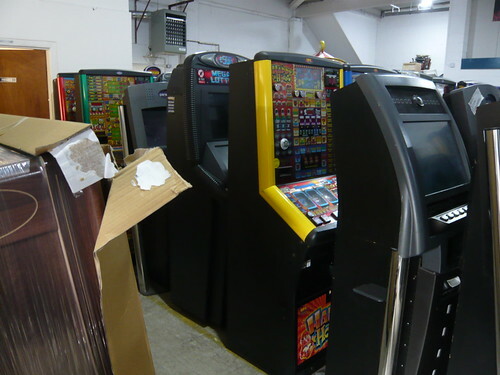 The venue is still open, but sadly it only has gambling machines now. 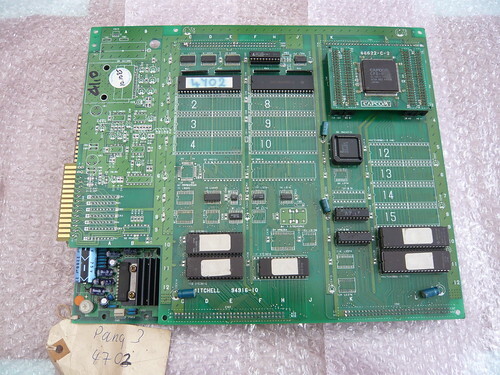 More recently I got some CPS2 games and motherboards from a pub / entertainment venue in Chapel St. Leonard’s, near Skegness. 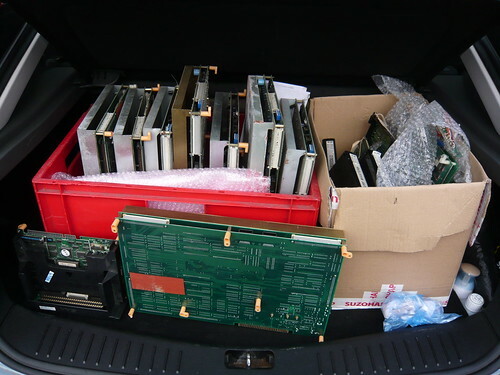 The car loaded up with boards and MVS. 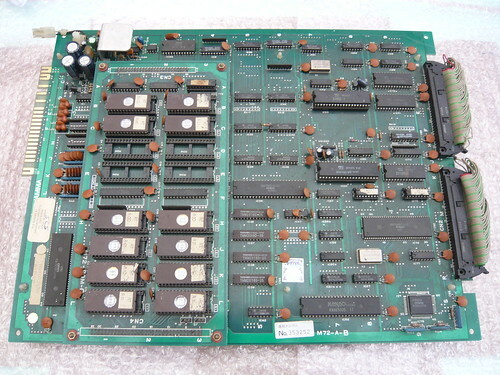 A nice original Cadillacs and Dinosaurs on top of the PCB pile! 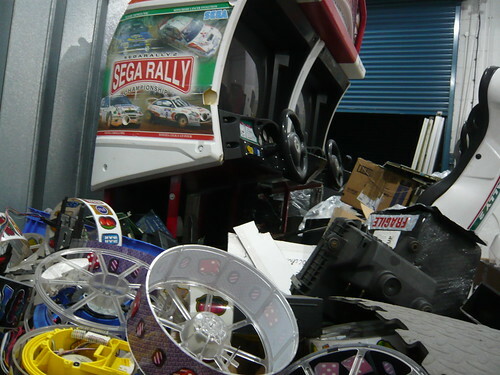 There is a decent variety of games and all the carts are original which is a nice bonus. I gave all the carts a clean and tested them. 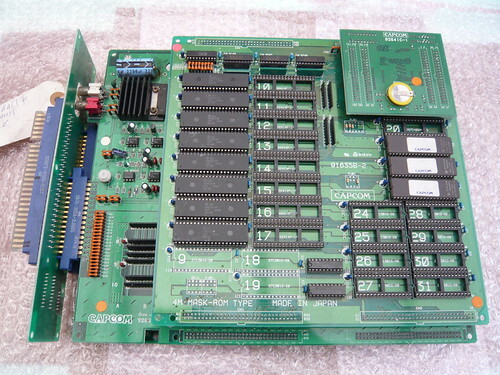 I was quite pleased as some of the carts marked faulty worked fine after giving the edge connectors a clean with an eraser. All are now working. 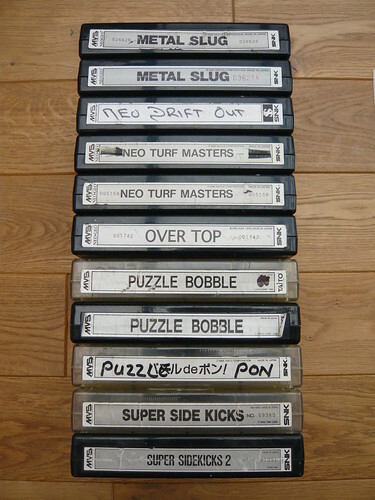 I also picked up eight MVS 4 slots and one 1 slot. 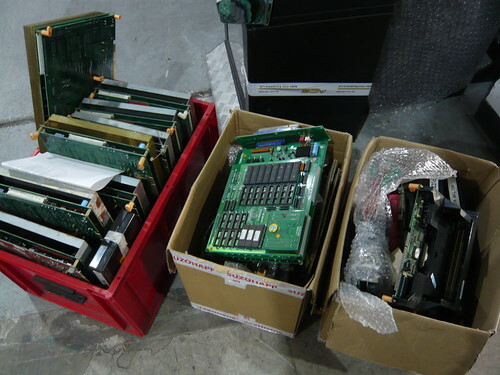 Unfortunately all of these turned out to be faulty. 2. Euro League. The board has some broken caps. 10. 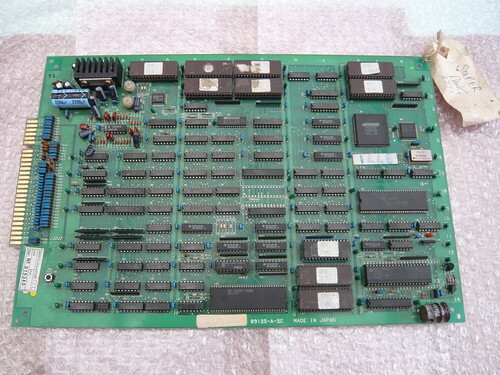 Shinobi, on a Sega 16A board with a Quartet 2 label! 12. Street Fighter: The Movie. A board is missing. 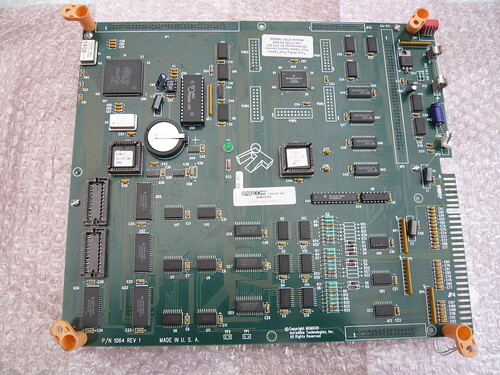 I was very surprised to see this PCB. 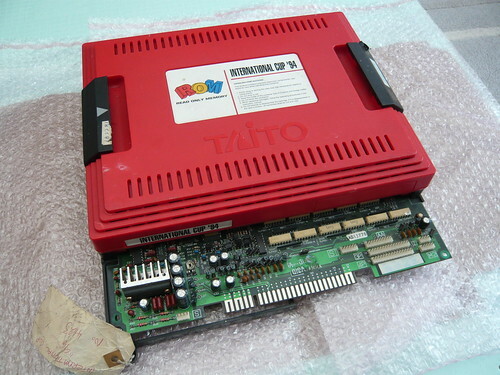 Bootlegs are quite common and it’s rare to see original Capcom CP System I Q-Sound hardware. 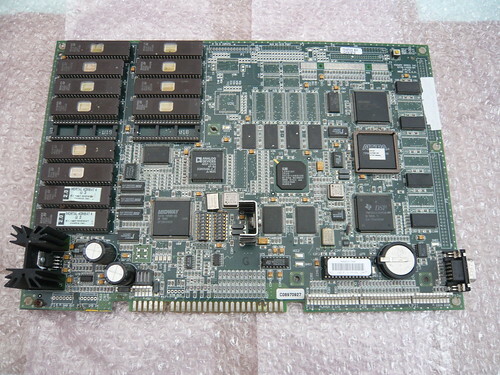 The board is in extremely clean condition and looks almost new, although the plastic grey case is missing. 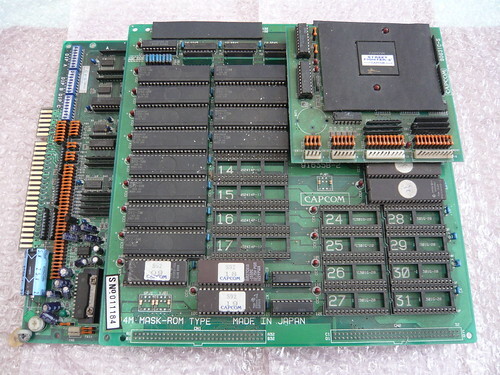 I do wonder if some of these boards were shipped out without the case. I tested the board and the game was completely dead. 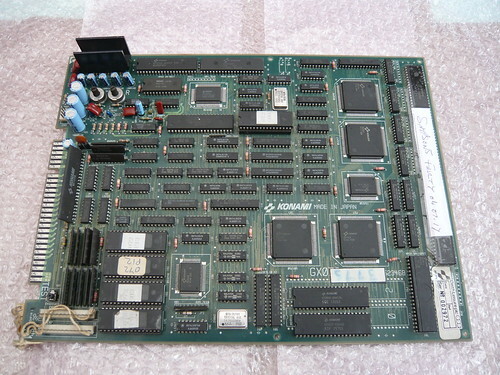 The A, B and C boards were tested and appeared to be good. This is the World version. 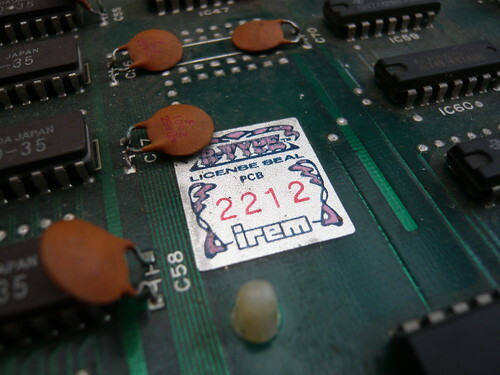 The ROMs were verified as correct. The voltage on the button battery was good. 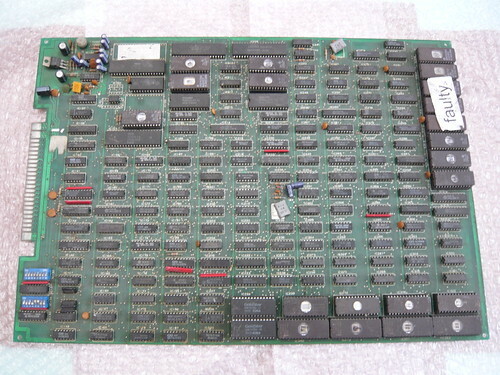 However the battery on the Q-Sound board was completely dead, i.e., the board had suicided. 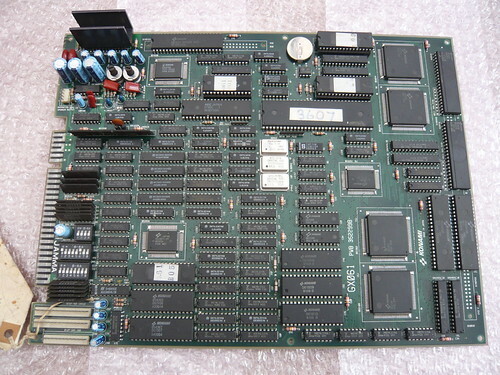 The Kabuki chip has been re-programmed and the battery replaced, and the board is now working perfectly. A massive thanks to Aaron, aka GadgetFreak (Ukvac) for the repair work. 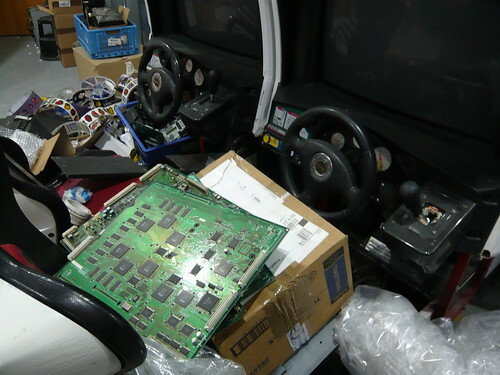 It was awesome to find an original R-Type board amongst the haul. The game was working, but had some graphical glitches. 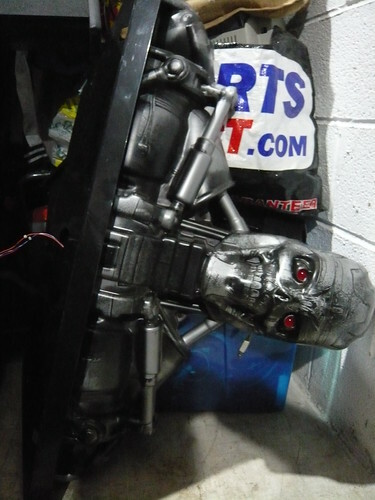 I sent it off to Phil, aka IronGiant / VectorGlow, along with some other boards from the Raid. 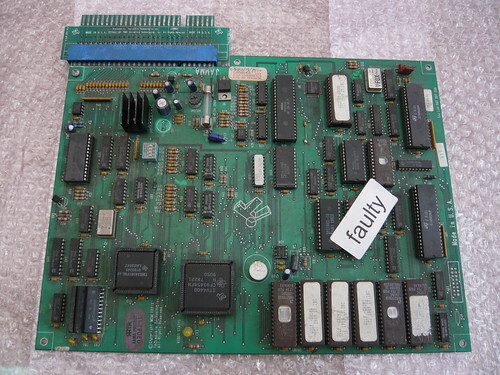 He managed to repair the board fully, tracing the issue to two bad chips on two boards. Phil offers a fantastic service and comes highly recommended. This is an interesting one. 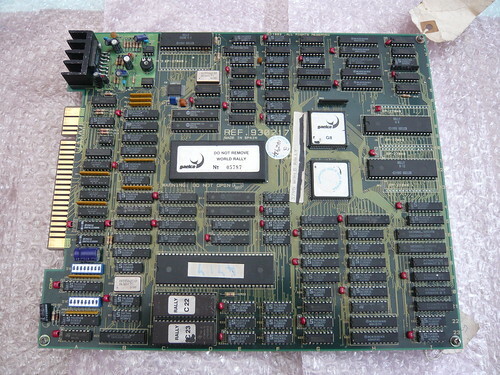 It’s a Sega 16A board running Shinobi, and has an official looking Quartet 2 label. I suspect it’s a factory conversion. Admittedly I didn’t know much about Quartet 2, and looking into it has piqued my interest even further! 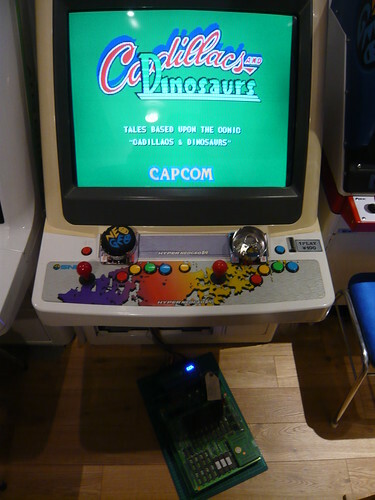 Quartet was released in a four player dedicated cabinet, with each player using a specific set of joysticks and buttons. 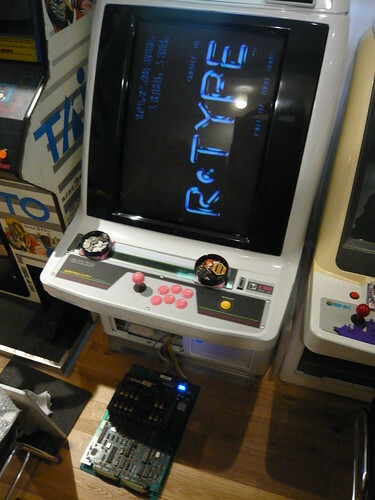 Quartet 2 is a two player version of the original, with a character select. 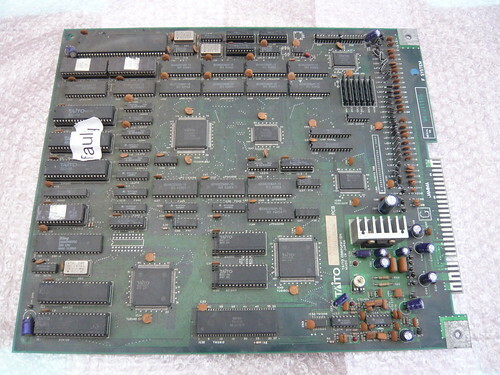 It appears the game was sold as a conversion kit, allowing pre system 16 Quartet boards to be converted to Quartet 2 by swapping the ROM boards. 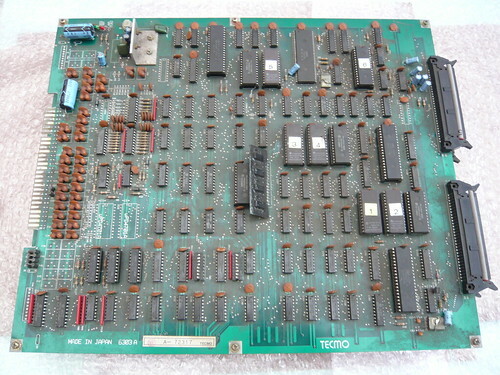 Original boards seem to be scarce. 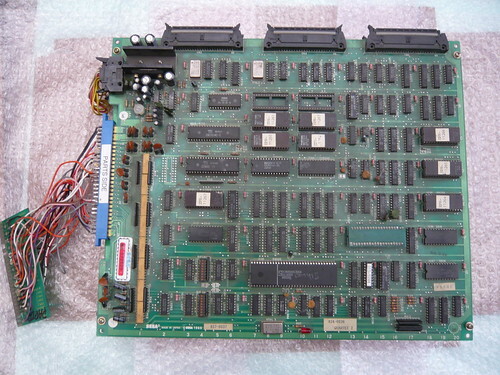 Apparently it was common in Japan for Quartet 2 PCB’s to be hand converted from other System 16A PCB’s. Indeed there is one on the System II blog which was originally a Passing Shot. The fact that my board actually has a Quartet 2 label makes it very unusual. Hopefully I’ll be able to convert it back. Yes, they're great fun! 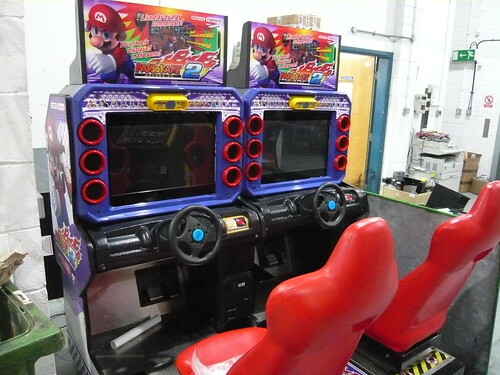 You never know what Arcade Operators have stashed away, and it's amazing what turns up after all these years. Hopefully there will be more Raids to come! 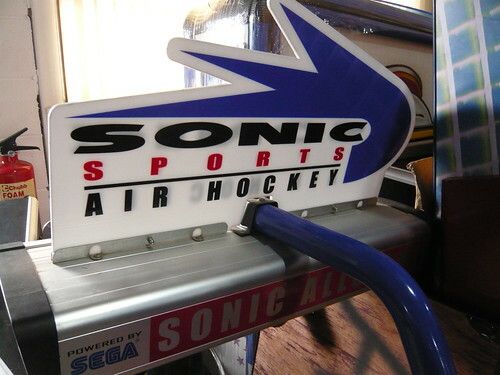 Those arcade games are awesome. Reminds me of my being game geek.